Movie Production Companies are turning to ShopLicensePlates.com to furnish real, genuine license plates. 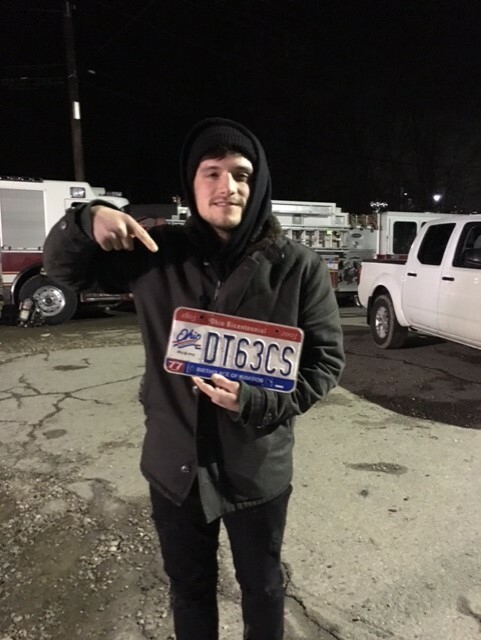 Actor Josh Hutcherson, highly acclaimed for his role in Hunger Games, is pictured here holding a license plate that is being used in the upcoming thriller movie "Burn". The use of old license plates has increased as HD technology has shown the use of real license plates enhances the movie experience. The use of "prop plates" that worked with old camera technology isn't compatible with HD cameras.